Scientists have developed an ultrathin artificial retina that could provide a superior alternative to the visual implants currently available to the blind. Second Sight Medical Products, Inc., a developer, manufacturer and marketer of implantable visual prosthetics to provide useful vision to blind patients, today announced that the Company has received conditional approval from the U.S. Food and Drug Administration to begin the Orion™ Cortical Visual Prosthesis System feasibility clinical study. The aging process affects everything from cardiovascular function to memory to sexuality. 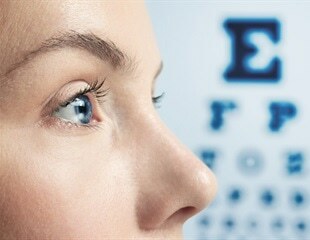 Most worrisome for many, however, is the potential loss of eyesight due to retinal degeneration. A Flexure-Based Electromagnetic Linear Actuator (FELA) developed by the Singapore Institute of Manufacturing Technology, a research institute of the Agency for Science, Technology and Research, is the only locally-developed innovation featured in the 2014 R&D 100 Awards, an international competition that recognises the 100 most technologically-significant products introduced into the marketplace over the past year. Second Sight Medical Products Inc. today announces that the French Ministry of Health has officially approved financial support for the Argus II Retinal Prosthesis System. Through the Forfait Innovation scheme, the French Government will pay for the first wave of groundbreaking treatment for 36 patients with severe to total sight loss due to retinitis pigmentosa (RP) in France. Graphene is viewed as a kind of "miracle solution": It is thin, transparent and has a tensile strength greater than that of steel. Vanderbilt University Medical Center has been chosen as one of 12 sites in the United States to offer the first FDA-approved bionic eye for the treatment of retinitis pigmentosa (RP). The U.S. Food and Drug Administration today approved the Argus II Retinal Prosthesis System, the first implanted device to treat adult patients with advanced retinitis pigmentosa (RP). With a staff of 53 researchers of various nationalities, in a building of around 1,000 square metres, the Center for Nano Science and Technology is focused on technological innovation starting with basic research. In particular, the specific fields of application are photovoltaic conversion, biomimetic systems and plastic electronics. Two experimental brain-machine technologies - deep brain stimulation coupled with physical therapy and a thought-controlled computer system-may offer new therapies for people with stroke and brain injuries, new human research shows. In addition, an animal study shows a new artificial retina may restore vision better than existing prosthetics. The findings were announced today at Neuroscience 2010, the annual meeting of the Society for Neuroscience and the world's largest source of emerging news on brain science and health. Popular Mechanics has recognized three NSF-funded projects with innovation Breakthrough Awards: an artificial retina returning sight to those who have lost it; a system that uses "controlled rocking" and energy-dissipating fuses to help buildings withstand earthquakes; and an inexpensive medical microscope built for cell-phones that allows doctors in rural villages to identify malaria-infected blood cells. Scientists at the California Institute of Technology (Caltech) have created a remote-controlled robot that is able to simulate the "visual" experience of a blind person who has been implanted with a visual prosthesis, such as an artificial retina. Blindness in millions of people with diseases that starve eye tissue and nerves of oxygen might be averted with a procedure being developed by researchers at Oak Ridge National Laboratory, the University of Southern California and the University of Tennessee. When the idea appeared several years ago, it sounded persuasive: How about implanting electrodes at the defective retina of blind subjects and connecting them with a mini camera in order to re-establish vision. Researchers from the University of Southern California and the Doheny Eye Institute will be presenting data on the first six patients implanted with an intraocular retinal prosthesis-more popularly referred to as an artificial retina-developed and manufactured in partnership with Second Sight Medical Products, of Sylmar, Calif.
A collaborative research and development agreement signed today between the U.S. Department of Energy (DOE) and Second Sight LLC will help bring hope to hundreds of thousands of Americans who are losing their sight to degenerative retinal diseases.